During this session you will experience how iPad can support students to manage everyday tasks and go deeper with their learning by getting organised, planning and sharing their work and documenting and reflecting. 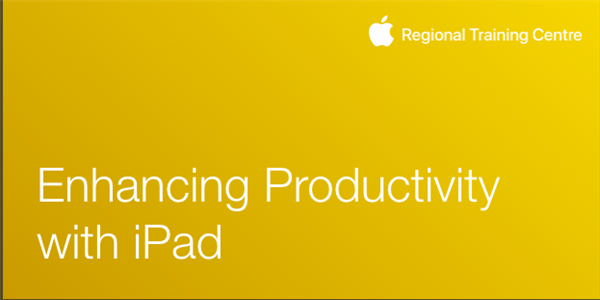 Later in the session, you’ll see how the Apple Teacher Programme can help you develop the skills needed to deliver powerful learning experiences with iPad in the classroom. You’ll have the opportunity to earn some Apple Teacher badges before the end of the session. This course is aimed at Primary and Post Primary teachers.